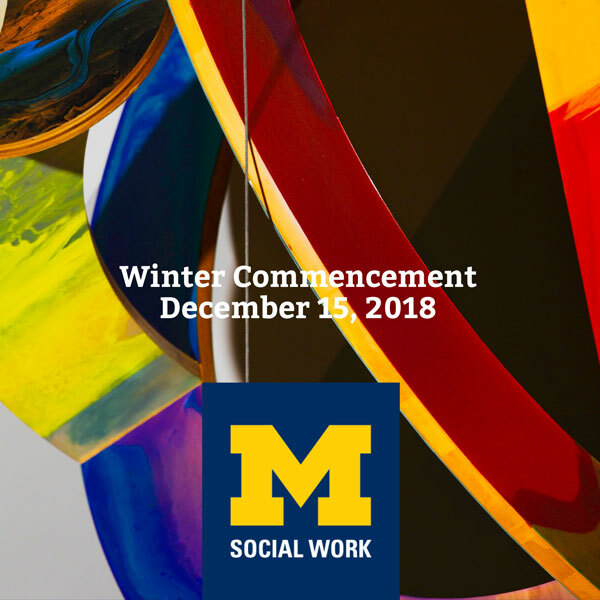 The University of Michigan community, families and friends gathered Sunday December 16, 2018 at the Crisler Center for the University’s December graduation. 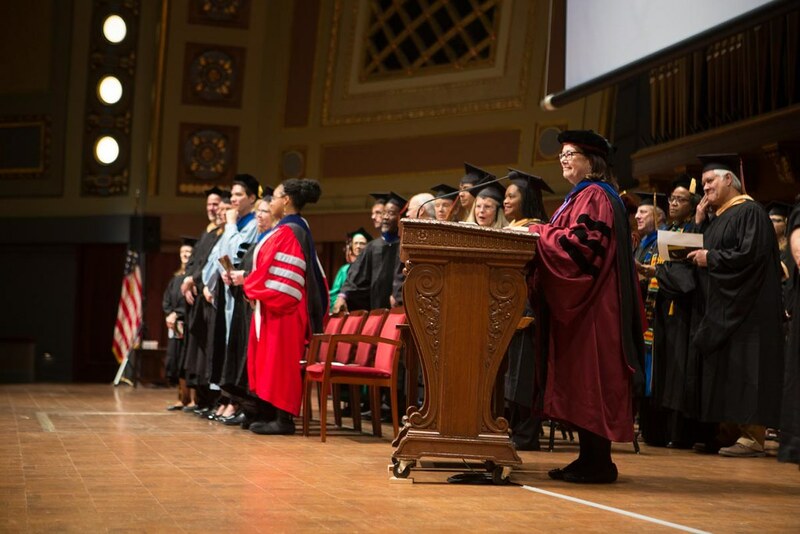 A graduating master’s student from the School of Social Work, Kavitha Lobo ’18, introduced computer scientist, inventor and transgender activist Lynn Conway, the commencement speaker. 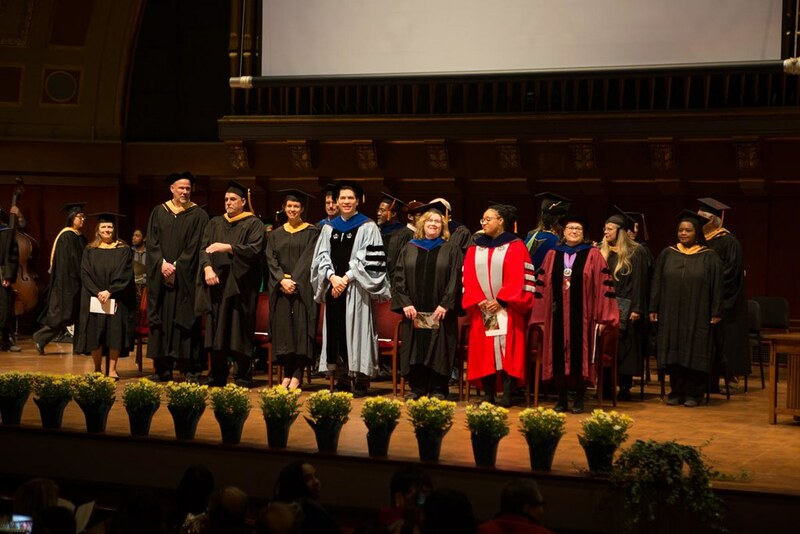 Lobo, joined by Engineering graduate Jiten Parbhoo, from the College of Literature, Science, and the Arts, encouraged graduates and guests to treat all their experiences as learning opportunities and always to be true to themselves and their values. 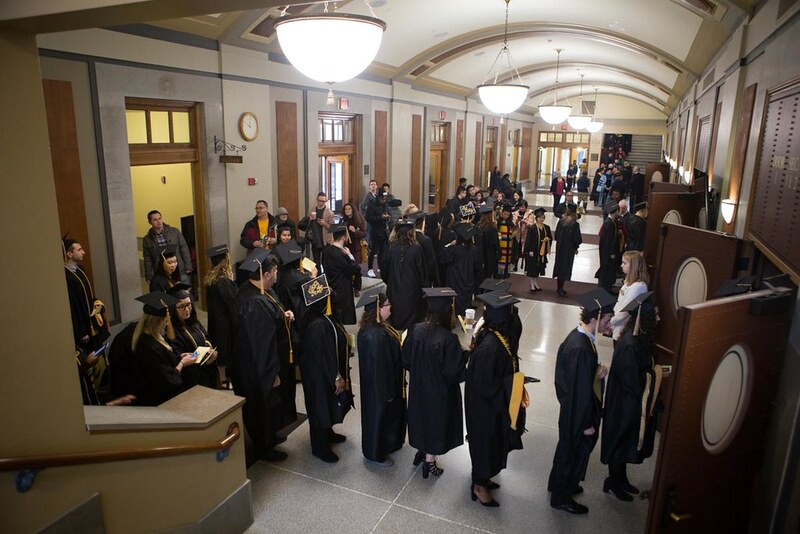 Also from the School of Social Work, MSW student Allie Vansickle, a student facilitator at the University’s Office of Student Conflict Resolution, was the flag bearer for the ceremony. 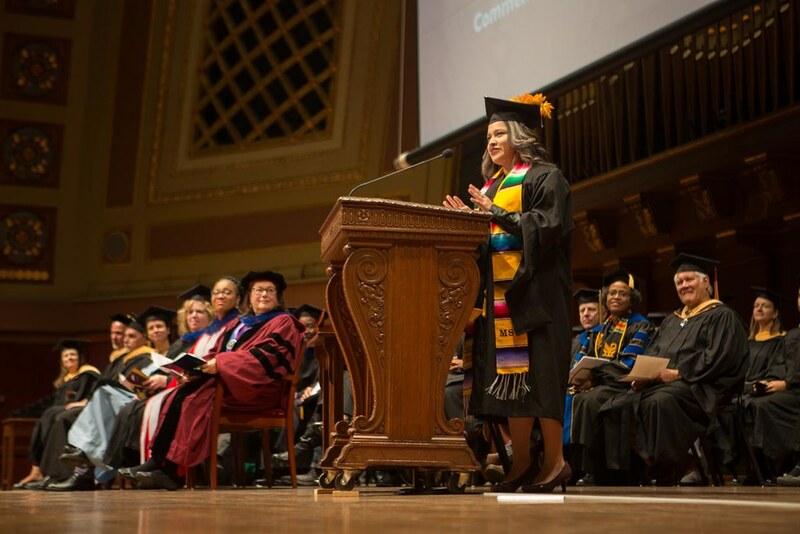 Dr. Jamie Mitchell is an Assistant Professor in the U-M School of Social Work. 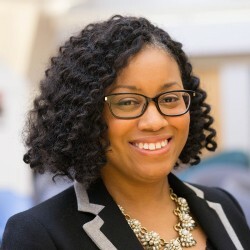 Her research focuses on reducing cancer and chronic disease health disparities for older African American men, and developing methods to improve communication between patients, their families and health providers. Next Avenue, a division of the Public Broadcasting Service, named Mitchell a 2018 Influencer in Aging. 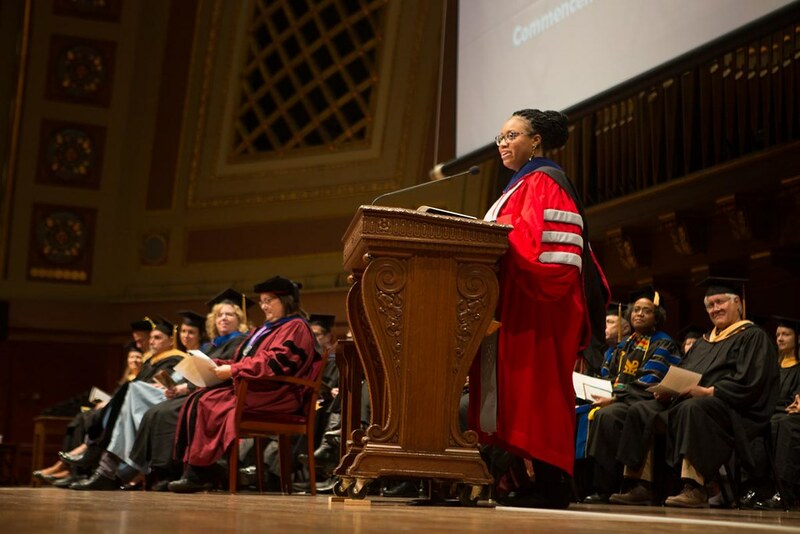 She also serves as co-director of the Community Liaison and Recruitment Core of the Michigan Center for Urban African American Aging Research, which includes the Healthier Black Elders Center in Detroit. In 2016, Mitchell was named the Student Union Teacher of the Year. She is an authentic and skilled facilitator, known for teaching the course Social Work and Social Justice where she creatively integrates social theory, relevant current topics and events, engaging activities and hybrid online content. Kristina “K” Agbebiyi is a 24-year-old organizer and aspiring macro social worker from Kennesaw, Georgia. Born in Michigan, Agbebiyi often jokes that their first organizing campaign was the Lizzie McGuire campaign in elementary school. When Agbebiyi found out that their beloved Disney Channel show was being cancelled, they spent an entire week talking to their peers at recess about why they needed to sign a petition to get the show back on air. Since that historic yet unsuccessful campaign, Agbebiyi has worked for various organizations such as Unite for Reproductive and Gender Equity, Planned Parenthood and GetEQUAL. They have served as an intern for organizations including Lutheran Services of Georgia, the Kennesaw State Academy for Inclusive Learning and Social Growth, Avalon Housing and the Corner Health Center. They have participated as a mentee and mentor for Young People For, a national progressive fellowship where they later returned as an Alumni Trainer. 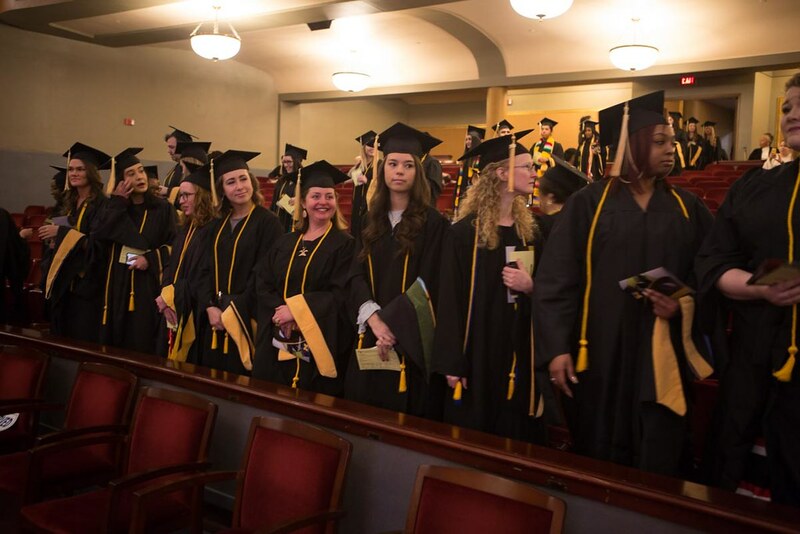 In 2017, they graduated with a Bachelors of Science in Human Services: Nonprofit Administration from Kennesaw State University, where they earned the Outstanding Graduate Award from the College of Health and Human Services. 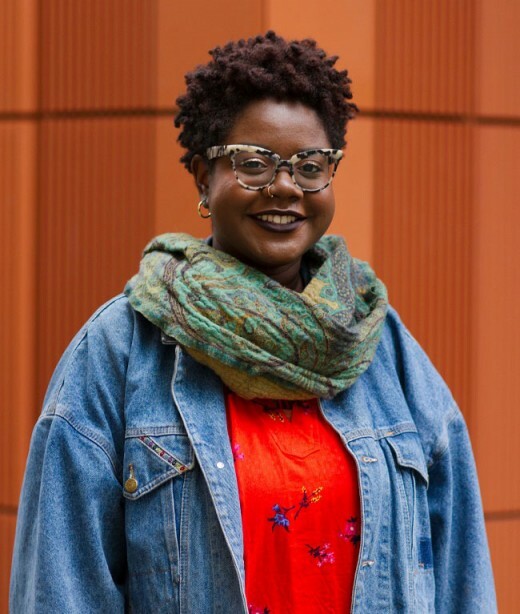 In 2018, Agbebiyi was elected as Student Union Vice President, where they were given the opportunity to create and co-lead an annual racial justice conference called Building Power: Organizing Effectively Against White Supremacy. 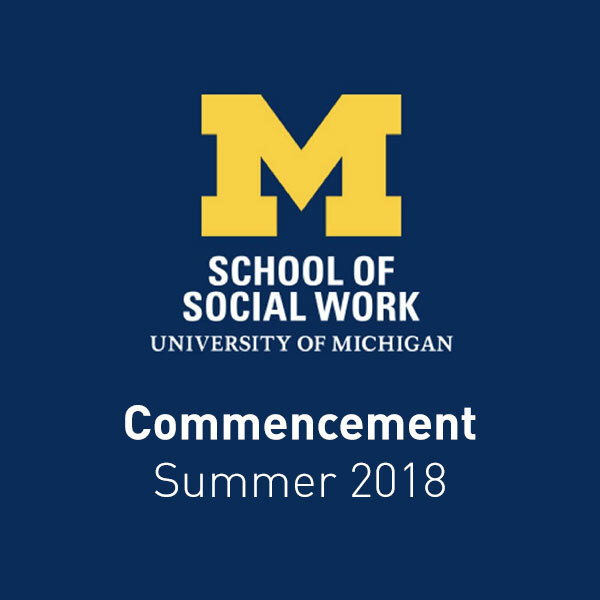 Also in 2018, Agbebiyi was selected as the National Association of Social Workers Michigan Student of the Year for the University of Michigan. 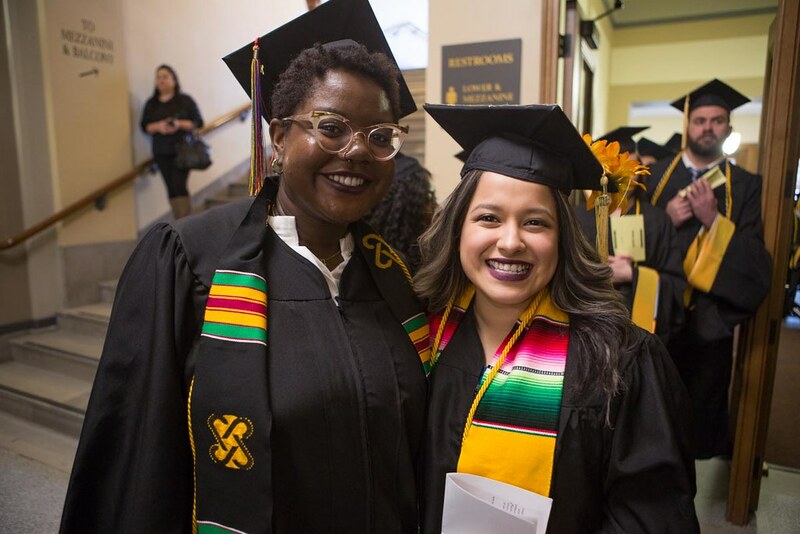 After graduation, Agbebiyi plans to move to Brooklyn, New York to continue their racial justice work. 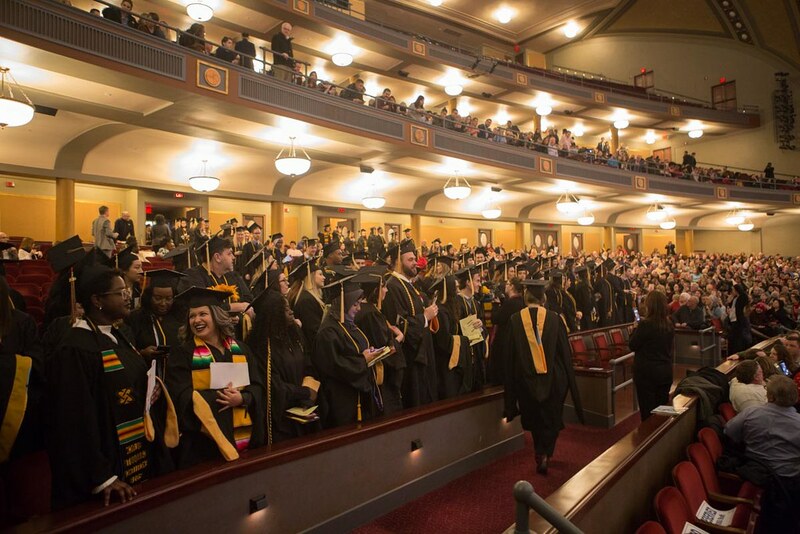 They would like to thank all of their friends, peers, co-organizers, professors, mentors and most importantly their family for making today possible. 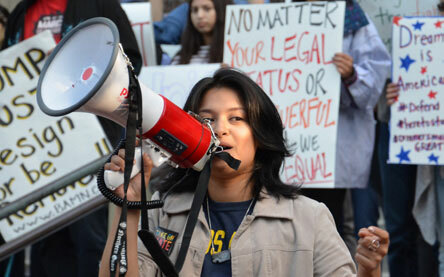 Gabriela Santiago-Romero is an immigrant from Mexico and a lifelong southwest Detroit resident. 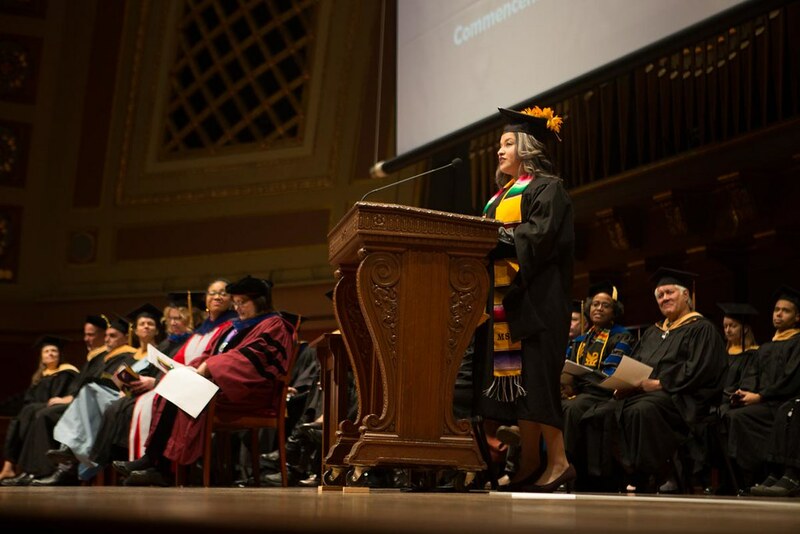 She is graduating with her master’s degree in Social Policy and Evaluation with a focus on Community and Social Systems. 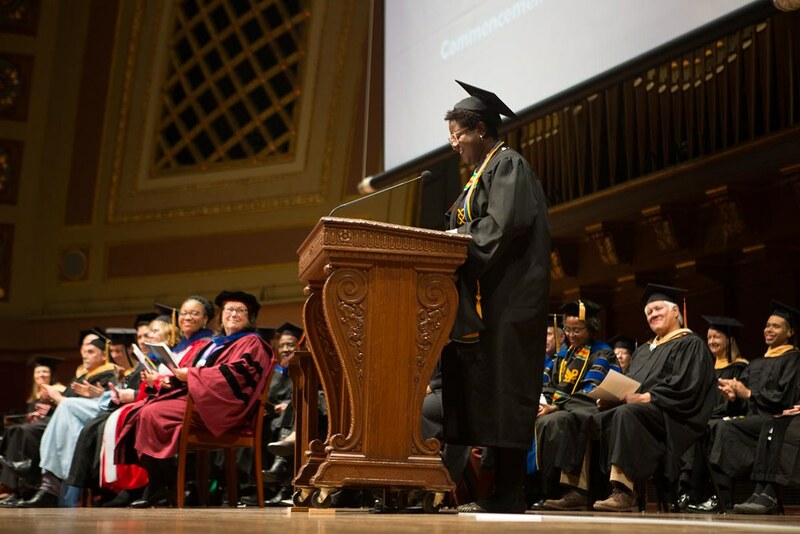 She graduated with her Bachelor of Science in International Business from the University of Detroit Mercy. 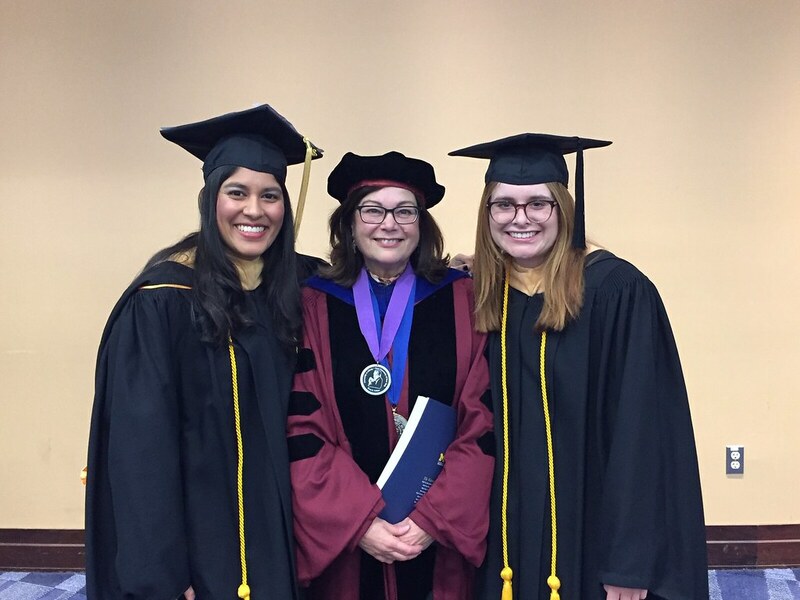 Santiago-Romero is a proud Mercy High School alumna. She is a community activist and organizer who has expansive experience working for Detroit nonprofits and local government. She ran the Girls Making Change program as her field placement with State Representative Stephanie Chang. The program builds a pipeline of amazing young women of color to become activists and gives them the training they need to one day run for office. 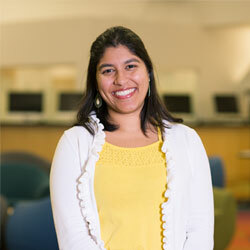 Santiago-Romero devoted a lot of her time to leading as President of the School of Social Work’s Student Union. She hopes to continue to advocate for basic human rights, to educate young people on the many ways they can breakdown systems and to organize her community.